We are pleased to announce the launch of our Motorcycle Accident Blog. Here, our motorcycle accident lawyers will talk about what’s going on in motorcycle news and politics, upcoming or past motorcycle events, or whatever happens to be on their minds. Our lawyers have offices in Los Angeles and Orange County, and can handle your motorcycle accident case anywhere throughout California. 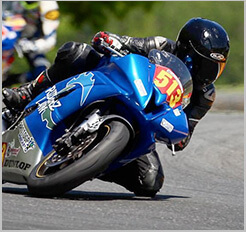 We are the state’s top motorcycle accident law firm. Our attorneys went to some of the best schools in the country, and our attorney actually ride motorcycles. If you’ve been injured in a motorcycle accident, please give us a call at our toll free number. One of our motorcycle accident lawyers would be happy to talk to you about your case, and answer any questions you have. Enjoy our blog. We hope you find it informative and entertaining.